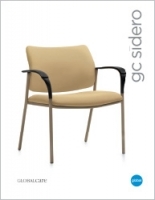 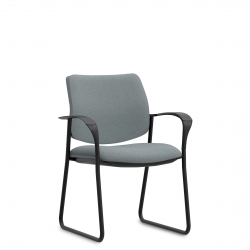  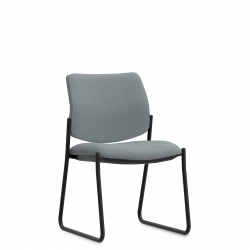 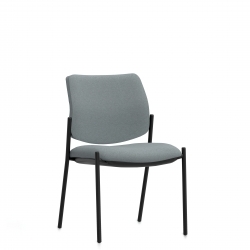 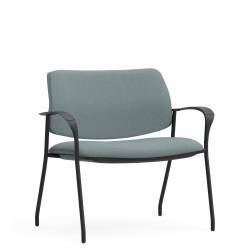 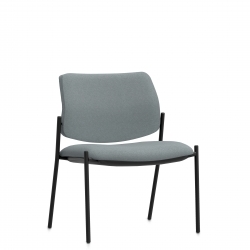  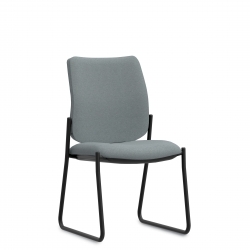 GC Sidero is a collection of contemporary multi-purpose stacking chairs with a sculpted look, featuring wide, curved arms, and a round tubular wallsaver steel frame. 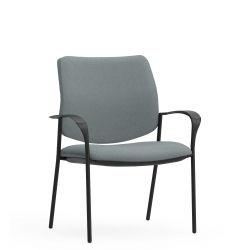 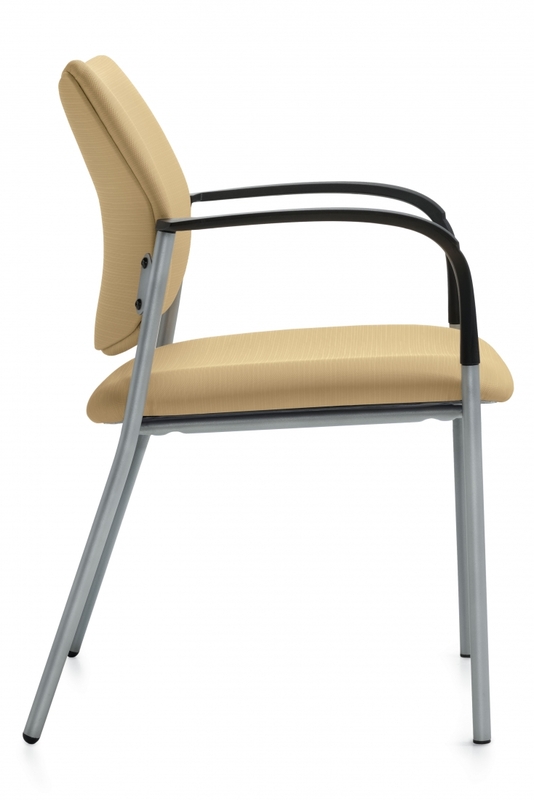 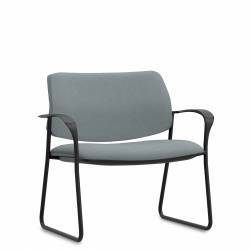 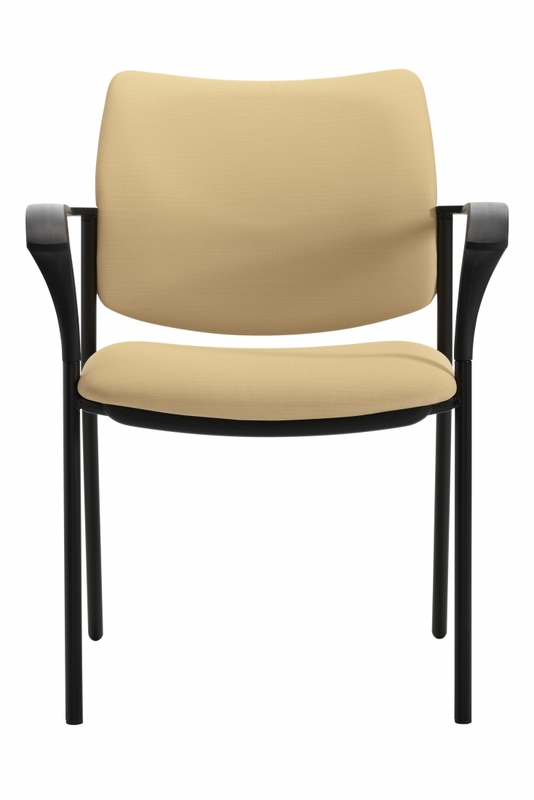 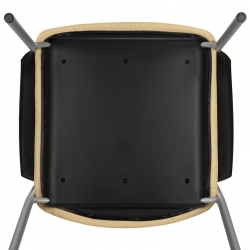 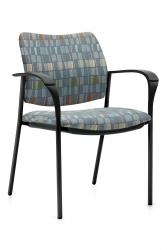 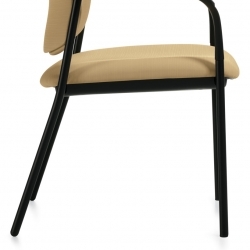 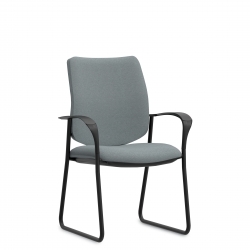 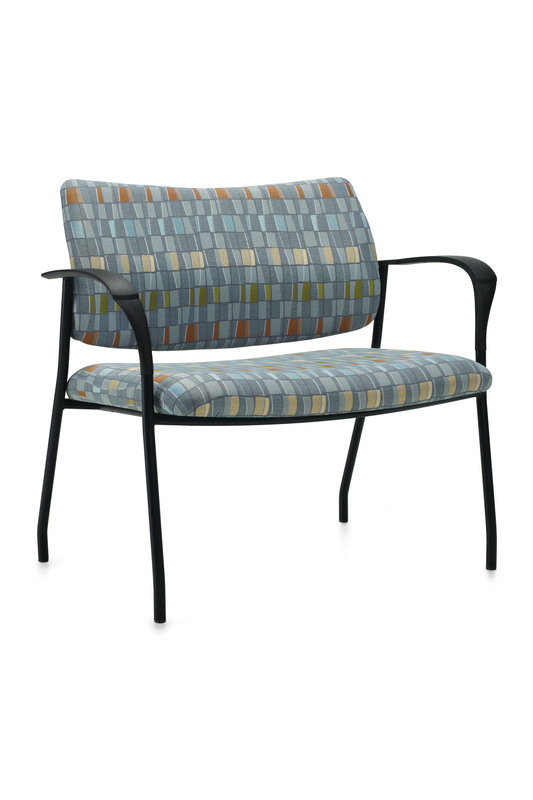 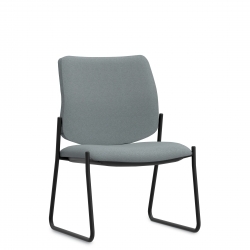 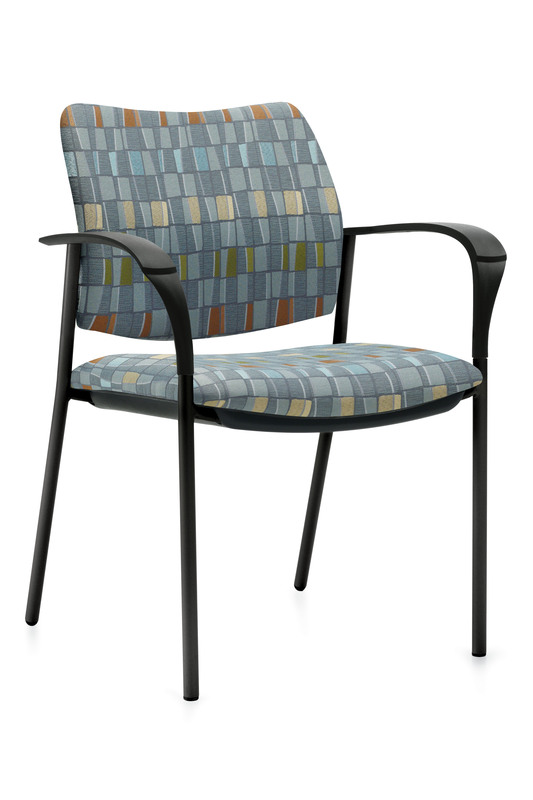 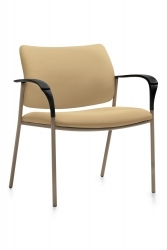 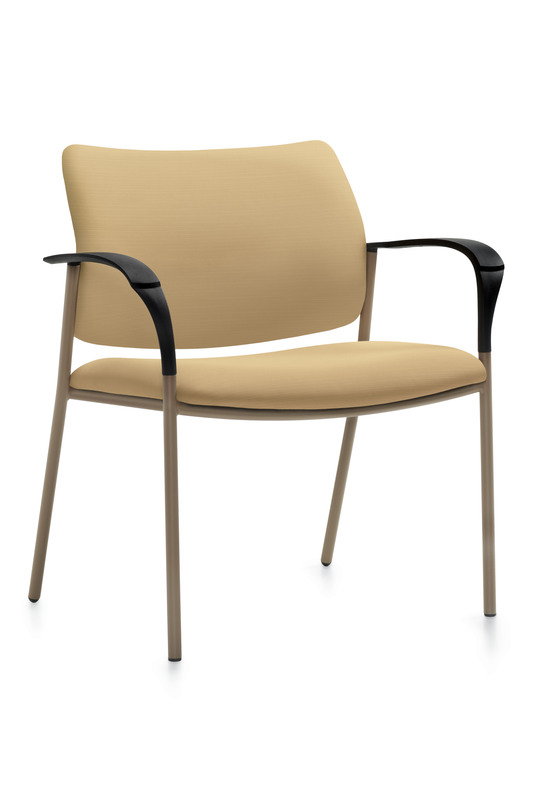 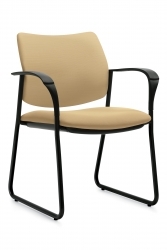 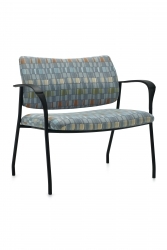 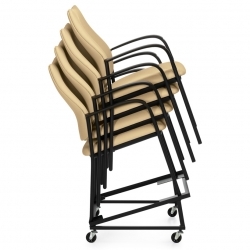 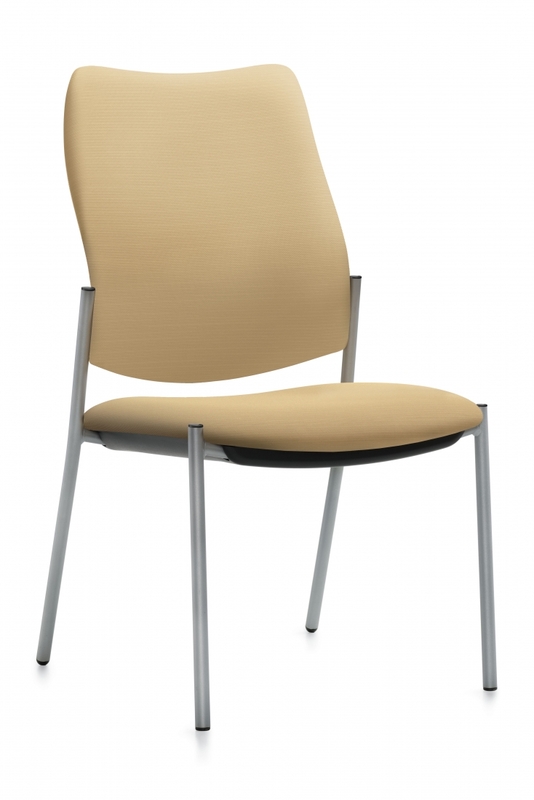 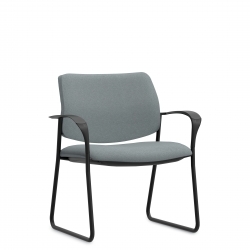 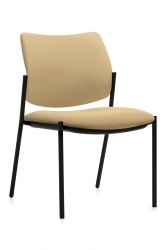 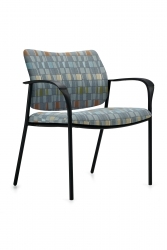 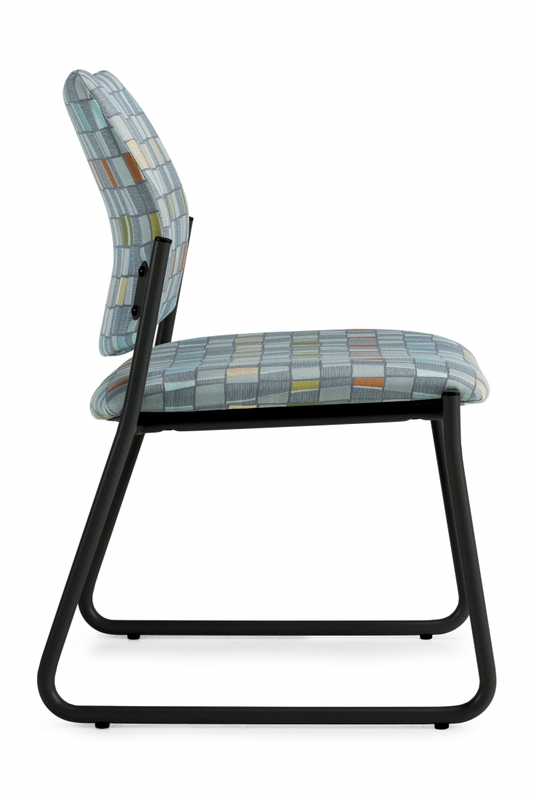 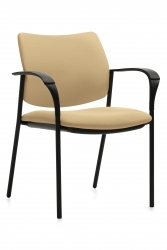 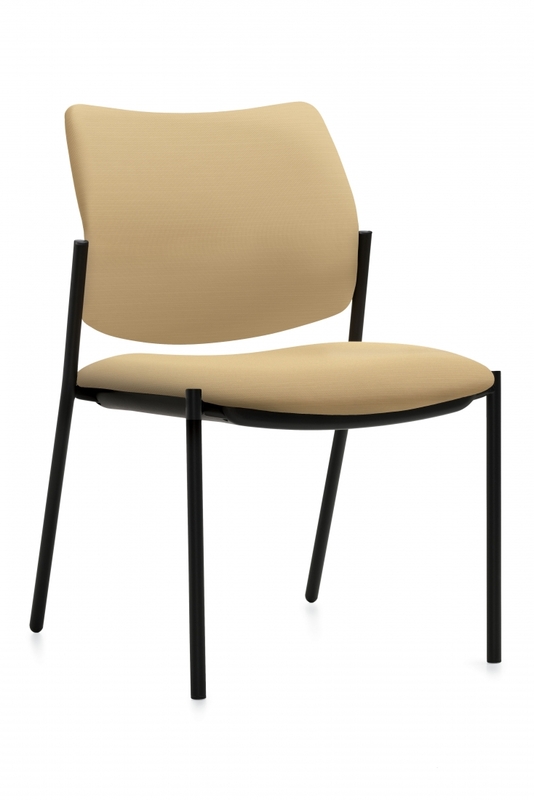 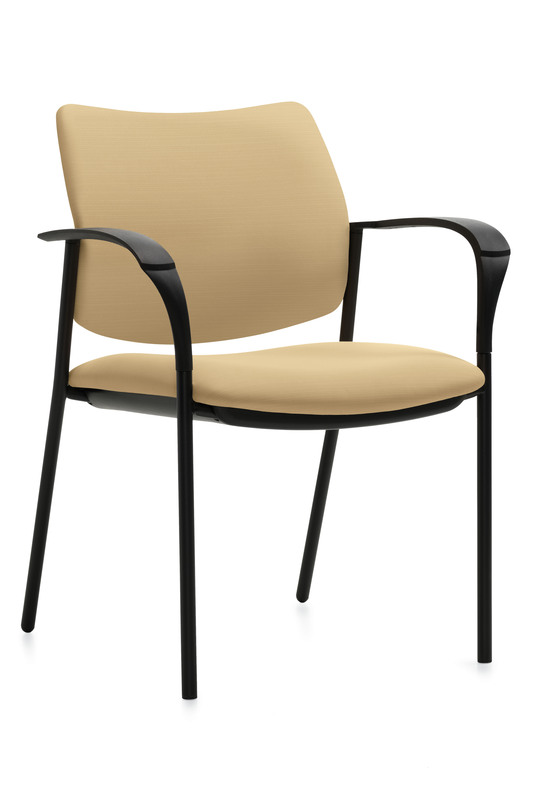 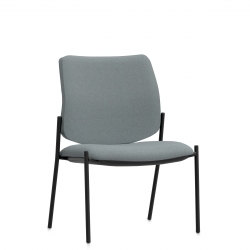 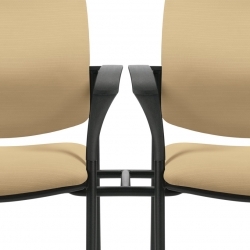 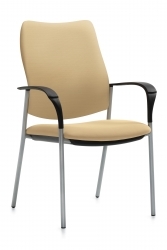 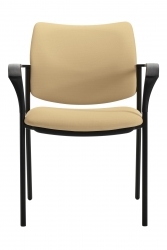 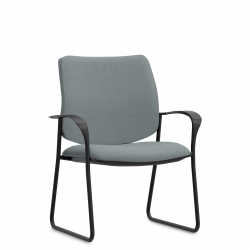 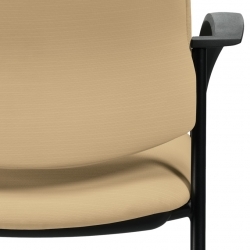 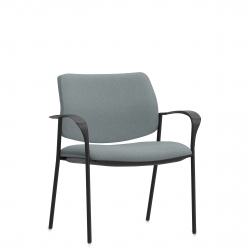 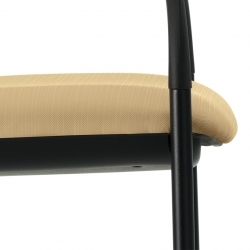 Compound curved back provides comfort and support in multiple seated positions. 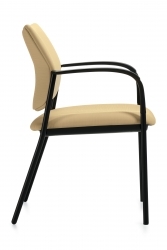 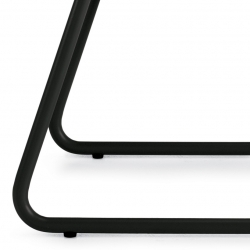 Rugged steel frame made from round welded steel tubing with a 7/8” dia. 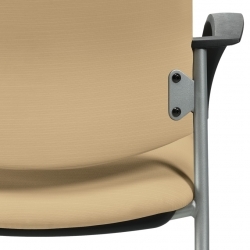 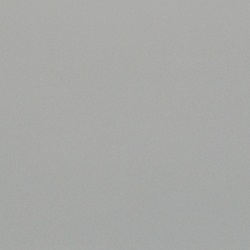 Wallsaver frame protects the wall from damage. 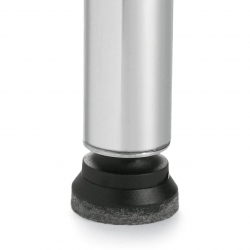 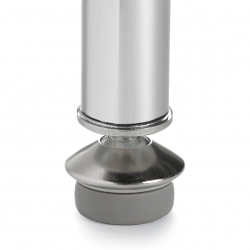 Comfortable 2” high density and highly resilient Ultracell foam with waterfall seat, ensures maximum comfort. 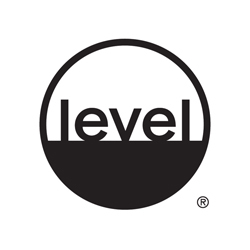  Three seat widths: 19.5” (standard size), 24” (Mid Size) and 30” (Bariatric) seat width. Two different back constructions are offered: Concealed Back attachment with two piece back covering the back support brackets when fastened in place and Single Piece Back with a pullover style upholstery cover and support bracket fastened on the outer back. 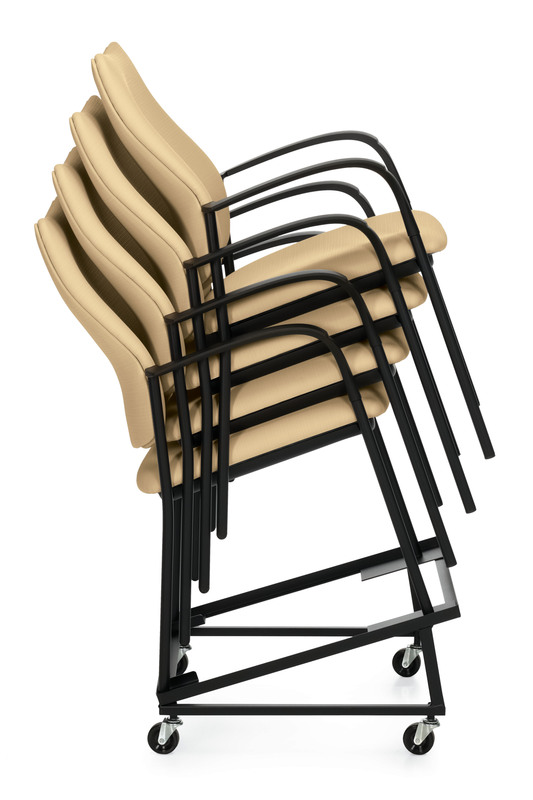 Two back heights: Low back is available on all 3 seat widths and high back is available on 19” and 24” seat width models only. 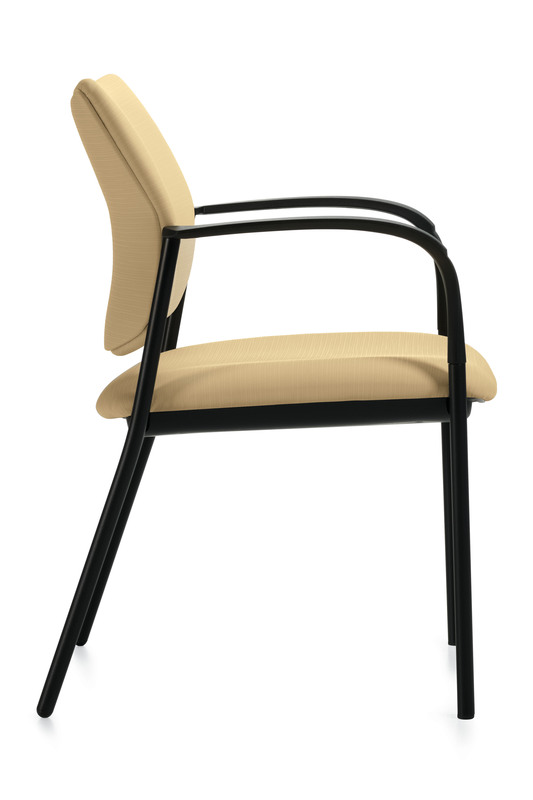 Arms are 2 1/8” wide and full length, offering additional support and helps to stabilize users as they sit or exit the chair. 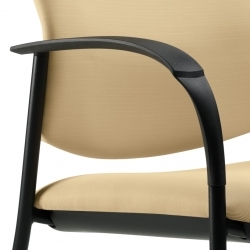 The gently curved arms are made from incredibly strong fibreglass reinforced Nylon. 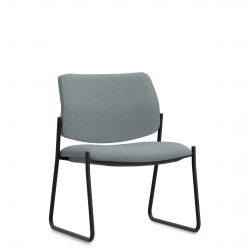  Available in Black (BLK).